Avoiding accidents and injury when working with roll-off boxes requires training; all personnel should be aware of potential safety issues. Here is a list to consider when conducting safety training. When loading a box onto a roll-off trailer, the operator must pay close attention to assure the container is aligned with the rails. Drivers must secure the roll-off box to the J-hooks on the roll-off transporter. Drivers should know of the combined weight of the material and the roll-off box to avoid overloading. 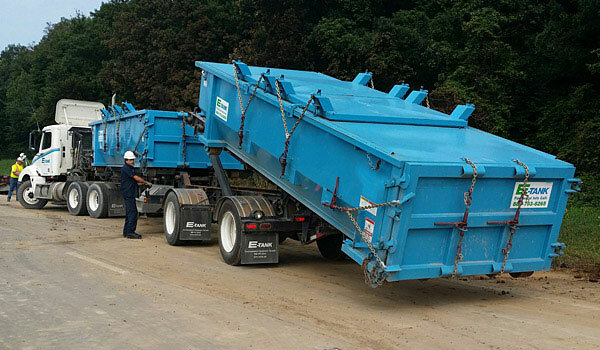 Wet or sludgy material can slosh out of a tarp-top roll-off during loading. Watch the fill level of the box while on level ground. When dumping material from a metal-lidded sludge box, relieve the potential vacuum by opening one or both of the lids enough to let air into the box. Exercise caution when opening a vacuum box. Pressure may have built up due to daytime heating. Gaskets on roll-off gates should be inspected for debris each time boxes are resealed. Never lubricate the gasket. Operators must assure that no personnel are behind the box when it is being off-loaded. Observers should stand to either side.